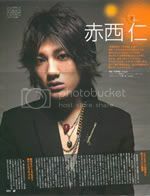 I am in the process of moving and found 2 JJ fashion magazine issues from 2006. After a quick scan through the 2 communities' histories, I didn't find these scans, so I thought I'd post them. 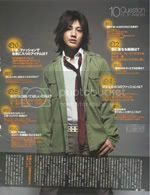 Translation of the Akanishi Jin article from JJ is available here by bonjovial. Please credit boys_paper if these are redistributed or used for graphics. Ah they look so good *^_^* I'm downloading the zips, thank you for sharing and Happy Valentine's!! thanks a lot! 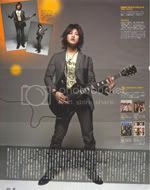 awesome scans! taking the jin scans! thank you! 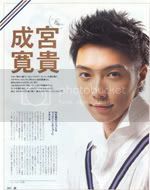 *0* I miss that hairstyle~! !